I started my day off with a strawberry raspberry smoothie, and it was delicious! Even though it's getting colder out I still crave a smoothie in the morning. For lunch I brought some leftover pasta to work with plenty of pesto! 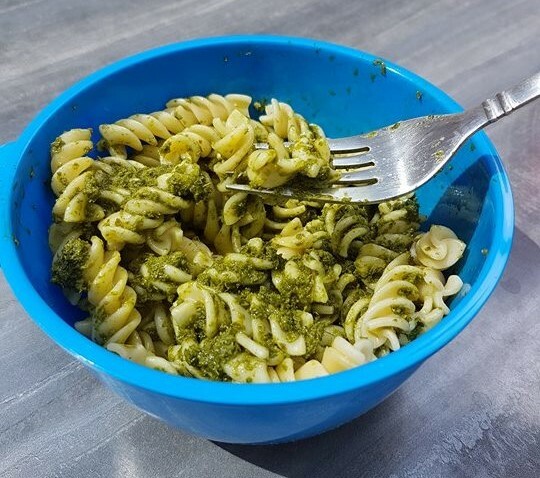 My favourite vegan pre-made pesto is the Le Grand Garden Pesto, it comes in a pouch and you can find it at most grocery stores. Most pestos tend to have parmesan in them, but this one doesn't! Throughout the afternoon I snacked on some baby carrots dipped in Catalina dressing, and a nectarine. For supper I made a sweet potato & chickpea curry served with jasmine rice. Curries are so easy to throw together, and you can toss in any ingredients that you're wanting to use up! 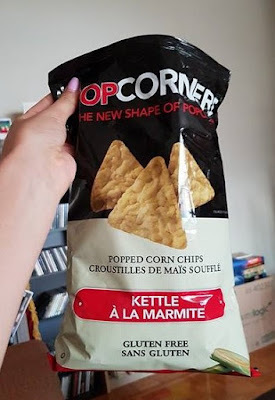 I ended off my day with some Popcorners - if you haven't tried this yet, you really should! They're basically popcorn in the shape of chips, and they're delicious.